Can’t get into too many movies at this year’s Sundance Film Festival? 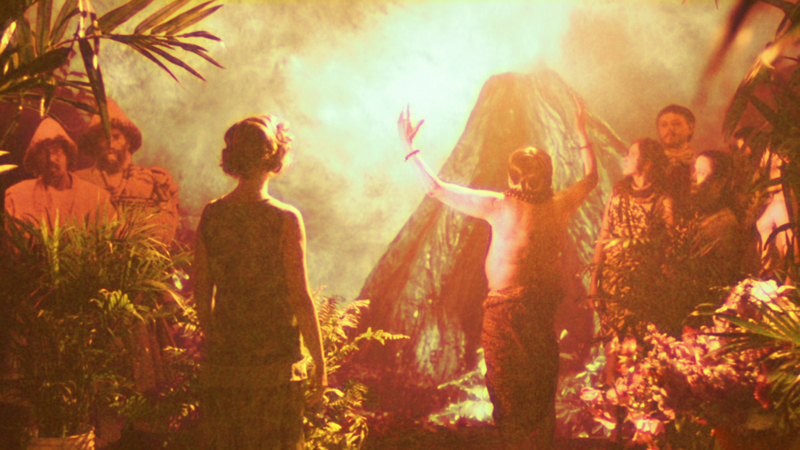 Make time for Guy Maddin’s latest film, the wonderfully dense and strange “The Forbidden Room.” It’s like 20 movies in one, all put one inside the other like a series of Russian nesting dolls — dolls that have been binge-watching Turner Classic Movies all winter. After a phantasmagorical opening-credits sequence which twists the fonts from a host of classic movies, “Forbidden Room” starts out as an instructional film about taking a bath. (Stay with me here.) Then we go down the drain and into a submarine drama where four sailors are eating pancakes to take advantage of the air bubbles in the batter. Then a lumberjack suddenly shows up on the submarine, transported from a forest where he’s been trying to rescue his true love, kidnapped by a gang who hums a deadly tune. Then his true love falls asleep, and in her dream she’s in a nightclub deep in the jungle being menaced by a banana vampire. Guys, this is like the first 15 minutes of the movie. Fans of Guy Maddin’s films (including “My Winnipeg” and “The Saddest Music in the World”) will expect these kinds of surreal touches and old-movie flourishes. Those hilarious title cards (“Squid Theft!” “Bladder Paddling!”) are there as always. But he seems to have really gone into overdrive here; the film is shot on digital but lovingly imitates old movies. Film itself seems to be a living character here, changing and breaking and deteriorating before our eyes. That may sound highbrow or artsy, but Maddin’s sensibility is delightfully nutty and accessible, using and bending the tropes of classic cinema. In fact, the ending of the film is a series of climaxes from never made movies, a cascade of dirigible crashes and fistfights and spectacular deaths and first kisses. I’m not saying we should ever stop making movies, but if we do, “The Forbidden Room” should be the last movie. There’s like nothing left to do.